Ingvild and I are back from our trip to California. The word “amazing” has been thrown around a lot in our social media updates during (and after) the big adventure. It was everything we hoped for and more. I shot 1921 digital images, 189 Polaroid pictures and a handful of mobile phone snapshots, plus a few short videos. Ingvild took pictures too, and is fixing to draw images inspired by what we saw and experienced out west. She also filmed the most memorable critters – Skunk! Squirrel! Steller’s Jay! The USA might be a car county, but it worked out just fine taking trains and buses, cabs and Uber (and a short ride with a ferry) to get around. A lot of people thought we were quite insane when they learned that we were “doing” California without a car. People also flaunted a lot of raised eyebrows when hearing that we were only staying a week. “But you have to stay longer when you travel that far,” they’d say. I would have loved to stay longer, but the “mere” week made the trip possible within the foreseeable future. I’d rather do a trip like this every other year, than have to save money for five years to stay a month. The jovial people of the sunny state is very talkative – by the end of the week we automatically answered “Norway” in unison when asked the question “Where are you guys from?” for the umpteenth time. Some people tried to guess where we were from too. Germany was the most reasonable guess – after hearing us speak Norwegian, but why any one would think two pale gals like us are from Brazil or Argentina is beyond me… we were asked that too. Like I stated in my previous post, the result of our escapades in California will be collected in a travel journal. I can promise you a book filled with fun and adventure, musings and tales, and of course lots of pictures. But please don’t hold your breath, we don’t expect to complete the book until some time next year. 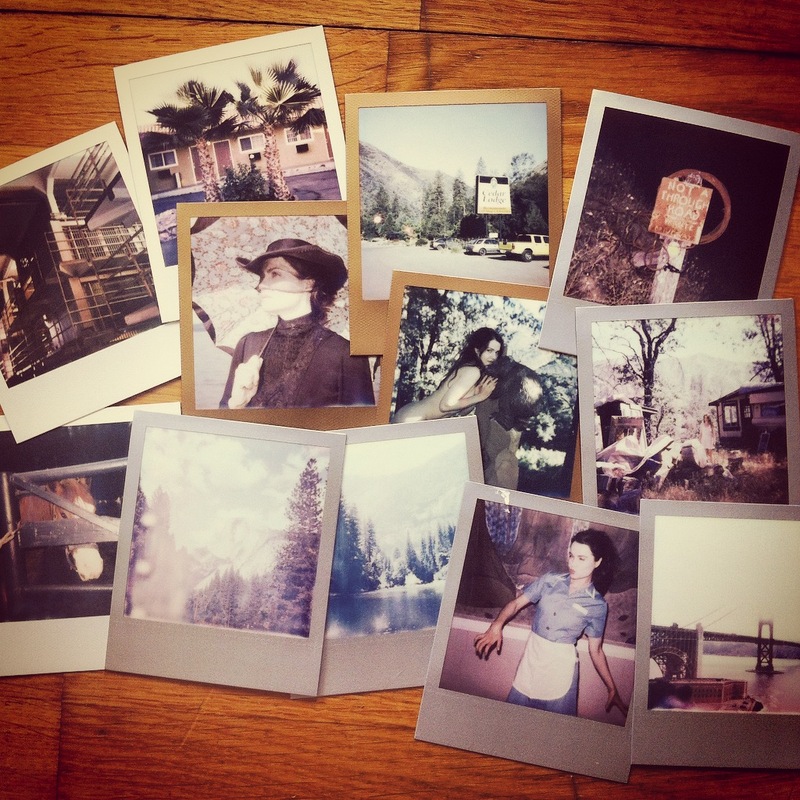 This entry was tagged adventure, alcatraz, america, California, cedar lodge, el portal, folsom lake, golden gate, holiday, impossible project, Ingvild Eiring, Julie Loen, motel, photography, Polaroid, sacramento, san francisco, tourist, trailer camp, travel, trip, usa, vacation, yosemite. Bookmark the permalink.